An internet enthusiast, avid reader and amateur creative writer. Currently studying Computer Science at the University of the People. Prime motivation to take up writing part-time comes from my course tutors' continued appreciation of my writings and assignments. 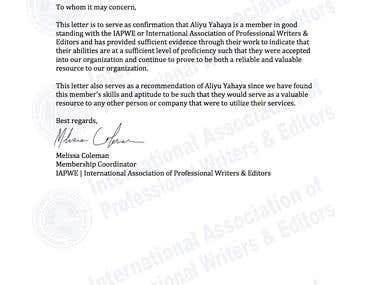 Certificate of membership, and guarantee of sound professionalism.